The Circulute DI Series has mounting and output shaft dimensions that are equivalent to another competitor’s cycloidal gearbox design. The DI Series is available in base mount configurations, and it can be directly dropped-in to replace the other common brand without any modifications required to your mounting plate. 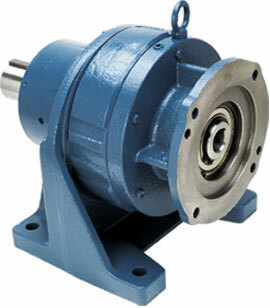 The DI Series has the same design features that make the cycloidal an excellent choice when a high torque density and the ideal choice when requiring a robust gearbox in a compact package. The DI Series is offered in a number of different ratios and available in frame sizes ranging between our A – E frame models. The DI models can be built and supported from our local kit build facilities throughout North America – so contact NIDEC-SHIMPO when you have that immediate need and cannot wait for the other manufacturer’s lead time.